How Our Online Montessori Training Program Works? In this section we will look at how Montitute's Distance Montessori Early Childhood (3 - 6) Diploma Program works. Along with the following points, the diagram towards the right will hopefully answer most of your questions related to the topic. Enrollment in this program is open throughout the year. Anyone (both males & females) can enroll any time. The course does not require any pre-requisites or education criteria. Anyone with the ability to read and write English, zest and motivation for learning Montessori and access to the internet is welcome. You can enroll online by clicking here. The course content has been divided into nine components called modules. Each training manuals covers up one course module. The training manuals are shipped to the trainee through express post and reach within 5 to 15 working days depending upon the location. However, the trainee can start the course immediately as the first module is made accessible electronically to save time. Each module must be completed within one month's period, which includes reading the manual, going through online lessons, watching videos, attempting quizzes and submitting the assignments and projects on the Online Course Management System. Please note that only the content related to your working module will be accessible via the Learning Management System. More content will become accessible as you progress. The student can also collaborate, share and discuss content matter and activities online with the tutors and other students through the learning management system. The total course duration is 1 year. However, we expect and encourage the trainees to complete the course during 10 months which includes nine months for covering up the course content and completing the assignments of each module, and one month extra time spent on shipping, handling, assessment, etc. There is an additional 2 months time which is kept as grace period, in case a trainee is unable to meet the due dates for any reason. You will be assigned an online tutor to whom you will have unlimited access throughout your training program. You can contact your tutors through our online support center or on skype, whatsapps, viber, email or conventional telephone. Our tutors are experienced Montessori educators and trainers who will personally assist you in any area related to your course. 1. 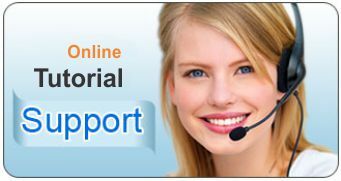 To provide support in your studies on the phone or by means of internet applications. 2. To mark your assignments, and give you feedback on demand. 3. To allow you extensions in your due dates for assignment. 4. To ask you to do the whole assignment or a part of it again. Please note that all assignment should be submitted before the due dates or in case of extenuating circumstances the tutors should be requested for extensions. Upon successful completion of all the requirements related to each module, the trainee is required to attempt an online final examination, which is based on the complete course content. Like your quizzes and assignments, the final examination is also made accessible through the online learning management system. It comprises of approximately 70% of objective type questions (e.g. multiple choice, true/false, matching, etc.) and 30% essay type questions. The final examination can be attempted again (in case the candidate does not qualify on the first attempt) as we believe in trying again. The final examination must be completed in one sitting and takes about 2 to 2 and half hours to complete. Candidates, who successfully complete all course requirements, receive Montitute's Montessori Diploma for Kindergarten / Early Childhood Education (3 to 6 years).